This waterfall mixer tap is a new addition to the Loft collection. 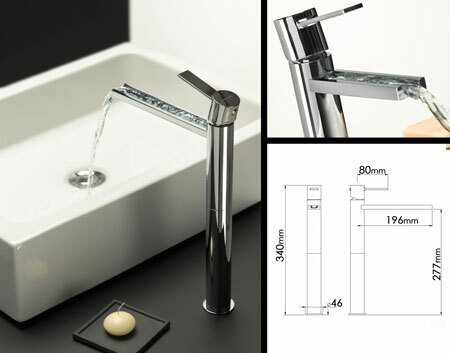 Each mixer tap is supplied with an anti limescale aerators for long life operation. * Latest in Italian tap design.